We at Metzgers understand that our customers may have strict budgets. We have designed ideal central air conditioning systems for hundreds of families to save them money with efficiencies while giving them more comfortable homes. Be able to enjoy the hot days of summer to the fullest with those you care most about! Besides simply keeping you and your family more comfortable during the hot summer months, A/C systems offer some health benefits you may not have been aware of. Allergies: Air conditioning helps clean the air by filtering out allergens. Breathing conditions such as asthma and emphysema: Air conditioning helps to remove dust and other particles in the air and also lowers humidity. Difficulty Sleeping: Being in a comfortable environment plays an important role in getting a good night's sleep. Learn more about some of the new air conditioners that we can install >>>. 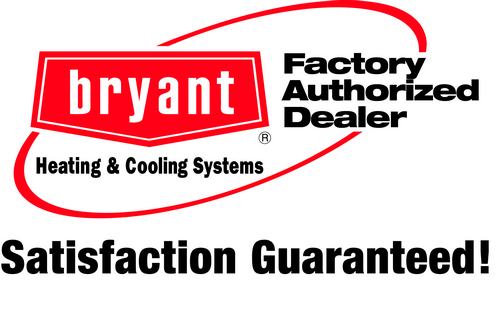 As a Bryant Factory Authorized Dealer, our new air conditioning systems come with a 100% Guarantee Promise. If you are unhappy with your new central air conditioner, we will come back and completely uninstall it for you!